Graduate job applications are becoming sharper and more targeted as graduates seek to increase their employability, or “E Factor”, according to research published today by talent management specialist Alexander Mann Solutions (AMS). As a result of the increased quality in applications, there has been a 4% year-on-year rise in the number of graduates who have successfully secured placements with major employers. This figure now stands at 47%. Sonja Stockton, AMS global head of diversity and emerging talent, said: “This trend is set to continue – as the process of graduate recruitment becomes more rigorous, universities are required to share more graduate data, more career coaching is provided and candidates become savvier about finding work and improving their ‘E Factor’. The research also highlighted an average of 31 applications per graduate role, compared with 46 in 2012. In addition, the total number of graduate applications saw a 37% year-on-year drop. 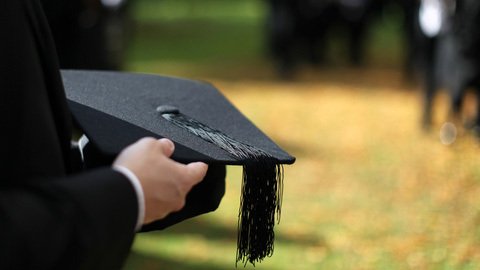 In order to enable them to attract the best graduate candidates, AMS advised employers to be clear about what they’re looking for and to look beyond academic grades when considering candidates’ achievements, adding that this is particularly important when employers are dealing with high volumes of candidates with 2:1 degrees. AMS said employers should look for elements including consistency of grades, extra-curricular activities and relevant work experience. For more recruitment-related news and features, sign up to receive Personnel Today’s Recruitment and Resourcing e-newsletter.